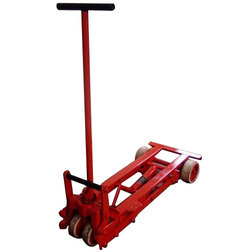 Our range of products include Lift Truck - Mechanical Pallet Trolley such as Mechanical Lifting Truck, Lift Truck and Scissor Lift Truck. The Lift Truck that is available with us is powered to lift and transport goods and equipments in industries. 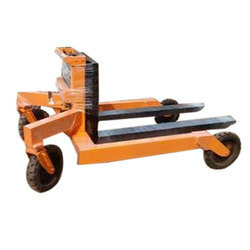 Also called the Forklift Truck this is very helpful in manufacturing units and warehouses to transfer loads from one position to another and has become an indispensable part of industries. We provide you with both the electric and the diesel version. We offer Gujarat Lift Truck - Mechanical Elevating Truck. The lifting and the loweringare controlled by the steering wheel, unlike other lifting trucks that are equipped with additional handles, levers or pedals to perform the task. The model is simple yet very robust & durable and the few mobile parts that are there have been designed not to be exposed to unnecessary pressure. All the wheels are provided with double ball bearings and the front wheels rotate on a ball thrust race. These features make our Mechanical Lifting Truck very reliable. Since turning radius is less than HOPT it is handy for use in confined spaces, engineering units, warehouses, and stores. The Rough Terrain Pallet Truck comes with Extended Raised Height compared to standard pallet trucks. 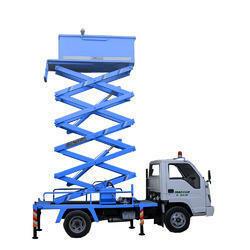 We are highly reckoned firm known for manufacturing and supplying a wide array of Scissor Lift Truck. Our offered trucks are extensively used in various industries for their robust and compact design traits. We employ a team of skilled professionals, who fabricate these products in varied configurations by using best quality raw material and progressive technology. Furthermore, we offer these products in the nominal price range for our customers. 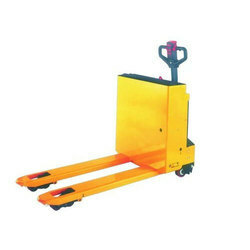 Looking for Lift Truck - Mechanical Pallet Trolley ?